Kingston (Jamaica), Feb 11 (IANS) Former West Indies fast bowler Andy Roberts has spoken out against the re-election of Dave Cameron as the West Indies Cricket Board (WICB) president, ahead of the elections on March 7. 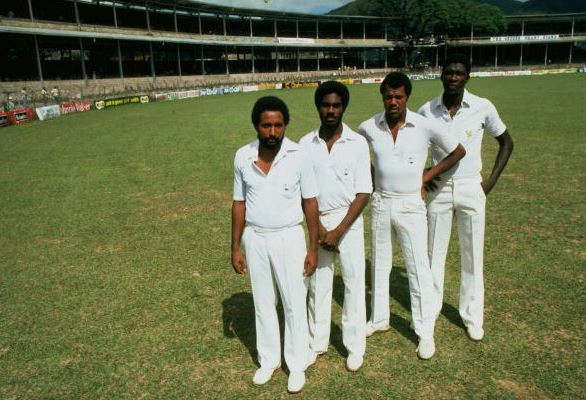 Roberts is instead throwing his support behind Joel Garner, his former Test teammate in the 1970s and 1980s, who is seeking to unseat Cameron, reports CMC. "I am happy to hear that Garner has put himself up for position of president. It is about time that someone takes the presidency from Cameron. Cameron was never my choice to be there in the first place and his behaviour and practices since have only worsened my position," said Roberts, after participating in the third annual Caribbean Premier League (CPL) Twenty20 draft. Cameron was elected 7-5 during WICB's last voting in Barbados in 2013 and has presided over the introduction of CPL. However, he has come under fire for the withdrawal of the West Indies cricketers from the tour of India last year and a subsequent $42 million debt. "The whole India situation was a nightmare. Things should have never been allowed to escalate in the manner in which they did. It is a travesty, and as the leader, the buck stops with Cameron," the former pace great said. Cameron of Jamaica has been nominated by the Guyana Cricket Board and will enter the contest with Windward Islands Cricket Board of Control president Emmanuel Nanthan as once again his running mate. Garner, who has been nominated by the Barbados Cricket Association, is set to have Trinidad and Tobago Cricket Board director Baldath Mahabir as his running mate. The Jamaica Cricket Association's board of directors have voted to support the candidacy of Garner while the Leeward Islands Cricket Association says it is backing Cameron. "West Indies cricket needs a more competent and respected leader. Someone who can easily galvanise the support of the entire region and I believe Joel fits that bill easily," Roberts concluded.